"'Lughnassad' means 'the funeral games of Lugh', referring to Lugh, the Irish sun god. However, the funeral is not his own, but the funeral games he hosts in honor of his foster-mother Tailte. For that reason, the traditional Tailtean craft fairs and Tailtean marriages (which last for a year and a day) are celebrated at this time. As autumn begins, the Sun God enters his old age, but is not yet dead. It is also a celebration of the first harvest. The Christian religion adopted this theme and called it 'Lammas', meaning 'loaf-mass', a time when newly baked loaves of bread are placed on the altar. An alternative date around August 5 (Old Lammas), when the sun reaches 15 degrees Leo, is sometimes employed by Covens." I count them now by this bread. Guardian of the East, I pray for your indulgence. That is our Mother Earth." 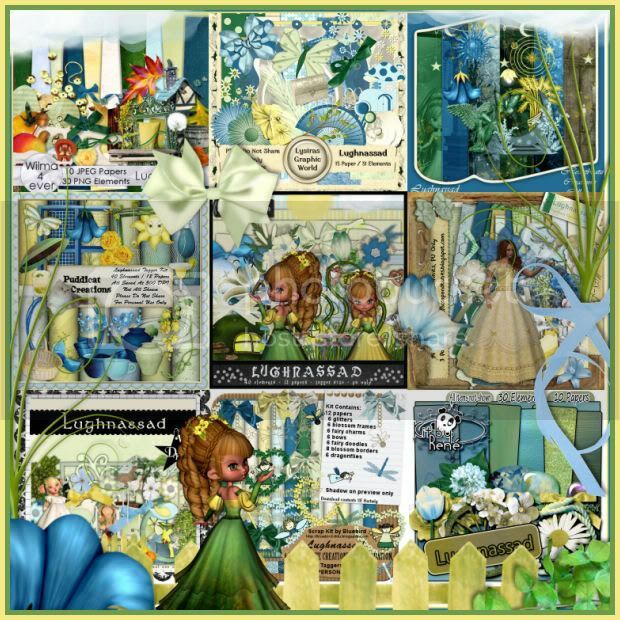 This gorgeous collab has been put together by 9 of our talented designers who have captured the magic of Lughnassad in this collection. You will not be disappointed! 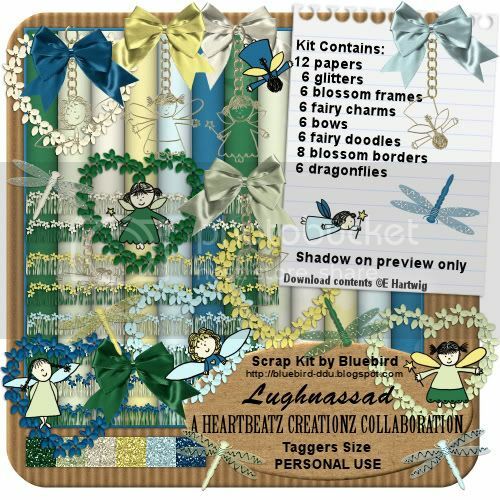 Full of stunning elements and papers these tag size kits are sure to please! Get them for just $10.00 or spend just $7.50 in the store and get them for free!